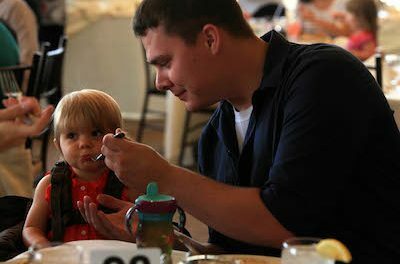 Petty Officer 3rd Class Arthur Richardson, a corpsman with 1st Medical Battalion at Marine Corps Base Camp Pendleton, feeds 1-year-old daughter, Adalynn Richardson, during the Father's Day luncheon held at the Pacific Views Event Center, Marine Corps Base Camp Pendleton, June 17. Creative commons image. While Father’s Day feels like an age-old tradition, the holiday itself did not become officially and federally recognized in the United States until 1972. Mother’s Day itself is a somewhat novel concept on the historical timeline as well, having first been celebrated formally in 1908. The idea first sparked after the Civil War to unite both sides, with the first celebration called “Mother’s Work Days” in West Virginia, of mothers of both Union and Confederate military members. The mother who was behind this celebration was an activist named Ann Reeves Jarvis. In 1908 when Mother’s Day became a holiday the person pushing for it was none other than the daughter of “Mother’s Work Days” creator, Ann Reeves Jarvis. The major celebration that year was in Philadelphia in the auditorium of Wanamaker’s, the city’s first department store. Mother’s Day was an instant success and the following year, 45 of the then 46 states within the union were celebrating. By 1914, President Woodrow Wilson declared Mother’s Day a national holiday that would be marked every May on the second Sunday of the month. While Father’s Day enjoyed its first celebration in West Virginia on July 5, 1908, the holiday did not enjoy the same traction as its maternal counterpart. Father’s Day was first recognized to mark a loss in its particular city because of a mining disaster in the town of Monogah at the Fairmont Coal Company mines. The mines suffered an explosion on December 6, 1907 that took the lives of 361 men. As a result, with 250 of them fathers, there were now 1,000 kids without dads, and 250 widows. It was a woman named Grace Golden Clayton, who had already lost her father when the disaster in Monogah occurred, who proposed the idea to her minister. But, with Independence Day, as well as a hot air balloon event, plus a young girl who died in the community on July 4, the first Father’s Day, including the church sermon, was lost, nor did the remembrance celebration receive any attention in the press. From there, the celebration lost its wind and was not celebrated again until years later. After hearing about the Mother’s Day celebration, a Spokane woman by the name of Sonora Smart Dodd thought it appropriate to celebrate fathers, including her own dad, a Civil War veteran. Dodd was in awe of her father, a widower, who raised she and her five siblings on his own in Spokane, where she grew up. Like Clayton, she also talked to her pastors. She initially proposed her father’s birthday, June 5, but her pastor could not prepare the sermon until two Sundays later, and the first day in Spokane that honored dads was June 19, 1910. Pastors across Spokane recognized fathers that day, but the celebration idea faded away when Dodd became an art student in the following decade. But, she picked up the concept again in the 1930s, this time attempting to market Father’s Day federally like Mother’s Day. Trade groups that produced items like men’s ties backed Dodd and a Father’s Day Council was formed in New York in 1926 to help cement the holiday’s place on the calendar. But citizens overall did not embrace the idea as they did for mothers. While President Woodrow Wilson approved the resolution for Mother’s Day, and in 1916 participated in Spokane’s celebration, there were fears from Congress about the commercial undertones that the holiday could create, and Congress balked. It was Congress that downed the idea twice, including when President Calvin Coolidge attempted to proclaim it nationally in 1924, when the President suggested it be recognized in every state. U.S. Senator Margaret Chase Smith, a Republican from Maine, reportedly lashed out at fellow members of Congress in 1957 for its failure to notice fathers. In fact, it was in the 1920s that there was an attempt made to create one holiday, Parents’ Day. In New York City, activist Robert Spere, a radio performer, said, “both parents should be loved and respected together.” But it was the poverty of the 1930s as a result of The Great Depression that dwindled that idea, followed by World War II. Actually, it was suggested to honor men as soldiers and fathers with the war, but that also never took off. President Lyndon Johnson chose Father’s Day’s celebration day in 1966 as the third Sunday of every June. But it was President Richard Nixon who declared it a national holiday in 1972, following President Johnson’s lead to keep it on the third Sunday of each June in the United States. While Father’s Day is celebrated in the United States, it also is celebrated in countries around the world. Many celebrate it on the same day as it is in the United States, though many countries celebrate their equivalent of Father’s Day in months other than June. Like this story? Then stay on the scene with Inside Scene. 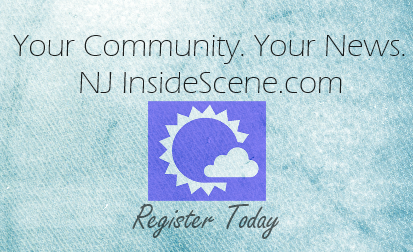 Click here to “like” us on Facebook, and follow all of our posts and stories.